These cabinets provide safe, portable storage. 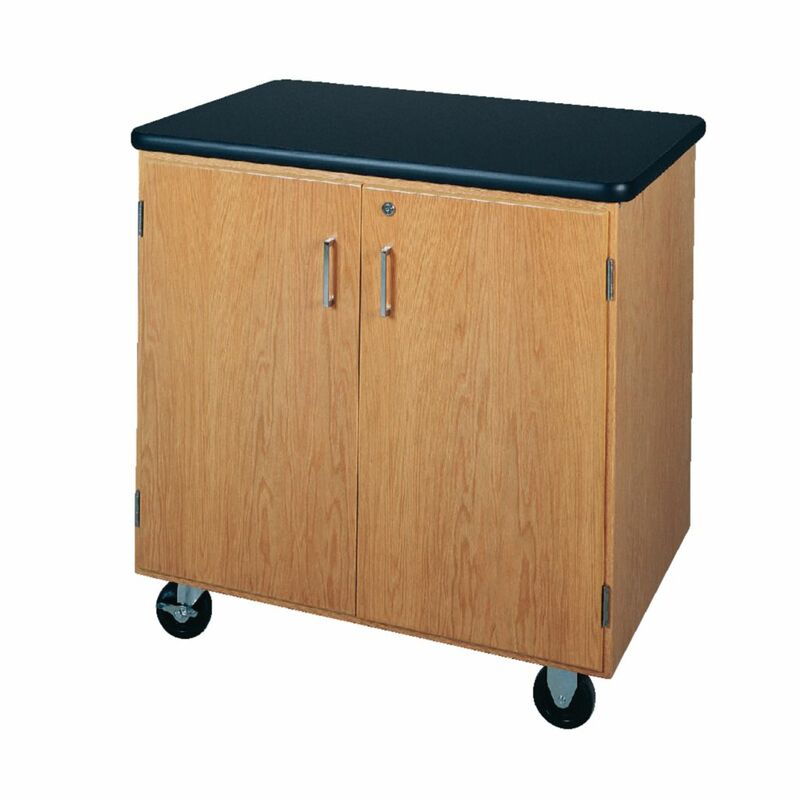 A compact, rolling storage cabinet that offers the versatility of serving as a storage area, a mobile demonstration table, or an extended work surface, this rigidly constructed unit features solid oak and oak-veneered plywood and is finished with a chemical-resistant finish to protect and highlight the beauty of real wood. The shelf is arranged so tall items can be placed in the unit or on the shelf. The 140 lb. cabinet comes equipped with four heavy-duty swivel casters with brakes. It is available with black 1 1/4"plastic laminate or 1 1/4" chemical-resistant laminate. Delivery information: The unit is customizable. Please call to specify your choice of work surfaces, fittings, fixtures, door, and drawer configurations.